Size: 899 sq.ft. - 1395 sq.ft. Sunteck City Avenue two is one of the popular residential developments in Goregaon West. Goregaon West neighborhood of Mumbai. Sunteck City Avenue 2 is among the ongoing projects of Sunteck Realty Limited. Sunteck City Avenue 2 is project of total 120 units. Avenue II is spread across 23 acres of land.It consist of 2 BHK & 3 BHK Luxury Apartments with the size range of 899 Sq.ft To 1395 Sq.ft. with few more options in each configuration. It has lavish yet thoughtfully designed residences.Project Delivery Expected completion is around December 2018. It is a latest magnificent structure announced to raise on the vast land of Sunteck City, which is named by Sunteck City “Avenue “2. The project is at the initial stage of construction work, which stands on the beautiful and posh land near to S V Road, Goregaon West, Mumbai. It is well planned and is built with all modern amenities.Sunteck Avenue 2 is known to be the regal oasis which is well located in the enclave covered by the choicest of amenities. It belongs to 23 acres of lush greens in the proposed Oshiwara District Centre.It includes two beautiful skyscrapers. It has 2 BHK(899 sq ft To 1091 sq ft) and 3 BHK(1395 sq ft) residences and the prices start from 4 Cr. This project provides all facilities that today's property buyer would wish to have. 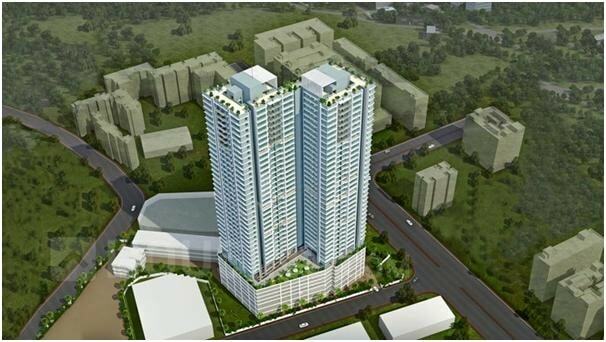 The Project is a part of the suburban locality of Goregaon West. Goregaon West is connected to nearby localities by wide roads. It is fully covered under MMRDA and it has a lot of paramount facilities.Also, the connectivity of the area gives a mind set to dwell in such a beautiful locality andthe area have Goregaon railway station and the proposed Oshiwara Railway station which give an instant access through rail movement in any part of the central and western routes. It has around 25 amenities with great convenience under the proximity of several entertainment and social hubs.The facilities within the project are thoughtfully created. The location close to Nahar Industrial Estate, Ram Mandir Road, S.V.Road, Goregaon West. The residences have a lot of amazing amenities within and outside the complex. For kids, the project includes swimming pool library, kids room and play area inspired from Disney World. It has activity zone which consists of jogging track, recreation zone, state-of-the-art gym, and indoor game zone. The leisure zone includes themed gardens, clubhouse, multiple pools and landscaped gardens. Some of the amazing lifestyle amenities consist of business centre, concierge desk, drivers’ waiting area, banquet hall, rest room, 24×7 surveillance, gated connectivity and security facilities. Schools/Colleges: -Export Trade and training institute, HK College of management,St.John’s Universal School, Vibgyor Kids Goregaon, Kids World Nursery, Bal Shikshan Mandir,FX School, Oberoi International School, Lakshdham High School. Hospitals: -Dr. Bhatt’s Hospital, Anupam maternity and nursing home, Acupuncture Clinic, Zest Diabetes Care, Arohi Eye Hospital. Restaurants: - Froyo Frozen Yogurt, Mcdonalds, Subway, Barbeque Nation, Firangi’s Dhaba, Domino’s Pizza. Shopping Malls: - Inorbit Mall, Hypercity Mall. Banks/ ATMs: - State Bank of India, Bank of Baroda, IDBI Bank, Central Bank of India, Allahabad Bank. Parks:-Oshiwara Garden, Vaishali Garden, Municipal Joggers Park, BMC Garden, Sultanabad Garden. Theatres: -Mukta A2 Cinemas, Miraj Cinemas, Cinemax, Inox, Interworld Digital Cinema.